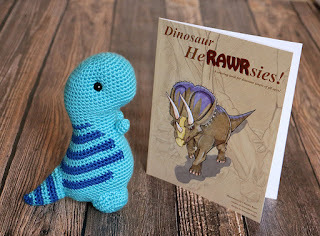 Photography and Art by Jennifer Nolan - dsgnGrl: Dinosaur HeRAWRsies and companion Dinosuars! Dinosaur HeRAWRsies and companion Dinosuars! My friend Chandra Reyer and I recently published an adorable coloring book of dinosaurs. I decided it needed some adorable dino companions to go with it. Our book is available on Amazon now! 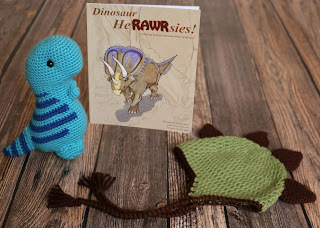 The dinosaur hat is in my etsy shop. 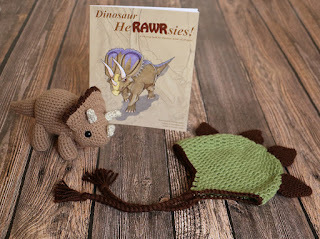 And well, the dinosaurs will be for sale at San Diego Comic Con next month! I will be at the Womanthology booth for a few hours Thursday-Sunday. Booth BB-22 in Artist Alley. When I return I will make some available on Etsy as well. Stop by and say hello!